When choosing a commercial cleaning service for your office, there are several things that you must consider. Choosing the wrong organisation can be very detrimental. When it comes commercial cleaning, trust is an integral part of the selection process. Here are some tips in order to make a great choice and establish a strong working relationship with your commercial cleaning service provider. The health of your employees is always at stake when they are working in the presence of dust or mildew in the carpeting. A carpet cleaning service provider in North Sydney can ensure that these elements do not affect your working area, thus, saving the company thousands of dollars in health and insurance claims. 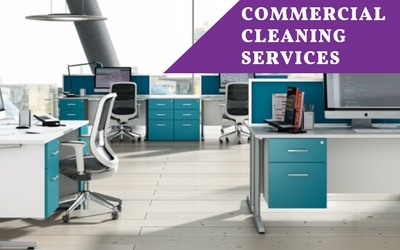 Most of the reputed commercial cleaning providers work for 24X7 as per requirements of your organisation. The cleaning company must be hired during the non-business hours, which means that you need to have an element of trust regarding sensitive information and the proper treatment of your expensive equipment. You can list out which things should not be handled or tampered when contracting the company. Many cleaning services offer user friendly alternatives to some standard chemical cleaning products. This can significantly reduce the risk of health issues. So, it is better to inquire about their products before you sign the contract. Oftimes, the prices involved will be comparable, so don’t expect an increase in price simply because you are hoping to use products that are a bit better for your employees and environment. The cleaners from a commercial cleaning service play a huge role in the effectiveness and safety. Check the comapny's background to find out more about the level of accountability the organisation maintains regarding the security of your operation while their cleaners are in the building alone. There are still some commercial cleaning services which are quite reliable and reputed. These cleaning services always run a background check on their employees. If you're skeptic enough, you can put your sensitive information inside a locker or a in safe place. Commercial cleaning service providers are indirectly your hired emplyees who take care of your organisation by providing a fresh working ground. Stay tuned to our blog space to find out more informative facts on commercial cleaning services.